Cecilia Price Fielder, age 79 of Salem, Va., went to be with the Lord on Friday, October 26, 2018. She left this world peacefully, surrounded by her family in her childhood home. She was preceded in death by her beloved mother and father, Howard and Blanche Price; and her husband of 56 years, Jimmie “Buck” Fielder. She was a Salem native who dedicated her life to her family and friends. 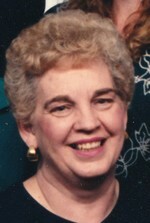 She leaves behind a legacy of love and kindness, honesty, hard work, loyalty, and protection of family until the end. She loved Fall because it brought cooler weather, football, and the holidays when she loved to cook for and spend happy times with her family. She is survived by three daughters, Juliana Fielder Alexander of Roanoke, Angela Fielder Boitnott of Roanoke, and Sherry Fielder Lindamood and husband, Edward, of Salem; one son, Jimmie Dean Fielder II of Roanoke; five grandsons, Bradley William Fielder and wife, Cari, of Dover, Del., Adam Thomas Boswell of Richmond, Daniel Morgan Lindamood of Salem, Jacob Price Lindamood of Richmond, and Noah Kinsey Lindamood of Salem; and her favorite granddaughter, Caitlin Elizabeth Alexander of Phoenix, Ariz. She also leaves behind her precious great-grandchildren, Thomas Jayce Boswell, Willow Morgan “Willow-Bean” Lindamood, Elizabeth Grace “Bizzy” Olivas, Michael Thomas Carrizosa, and Benjamin Adam Carrizosa. She is also survived by her sister, Corinda Price Harrelson and husband, Gary, along with a niece, nephew, many cousins, and special friends. She will be greatly missed by her loyal canine guardian, Gunner! The family would like to thank the caring staff at Amedisys Hospice who took great care of her these last few months. The family asks that you join them for a time of celebrating her life from 2 to 3 p.m. on Thursday, November 1, 2018, in the John M. Oakey & Son Chapel in Salem. A memorial service will then begin at 3 p.m. with Pastor Gary Butcher officiating. To send flowers to the family of Cecilia Price Fielder, please visit our Heartfelt Sympathies Store.